People always say to hope for the best and prepare for the worst. That’s what having a storm shelter is all about. You don’t ever want to use it, but in case of an emergency you will be very happy you have it! Simply having a shelter on your property is fine for protecting your family from a storm, but what will you do if that storm lasts for an extended period of time? Keeping you and your family safe from the dangers of this world can take different forms. Surviving a disaster is your first order of duty, but then you have to protect yourself from the aftermath. For that, you need to properly stock your tornado shelter with supplies in order to stay safe, secure and healthy for hours, days and possibly even weeks following a disaster. It’s up to you to decide how prepared you want to be. Below, we take a look at what to take to your storm shelter for both the short and long terms. Food & Water – These are two of the most basic human needs and one of the first things you need to get for your storm shelter. The food needs to be non-perishable, so that you can store it for months or even years without fear of it going bad. You need to be careful and store everything properly so they won’t fall and injure anyone. Clothes & Blankets - You will want to stay warm and that could mean keeping an extra set of clothes, towels and blankets in your shelter. This is especially important if your tornado shelter entrance is located outside of your home, since you may have to travel through bad weather to get to your shelter and you don’t want to spend all night locked up in a small room while you’re wet and cold. Lighting - No one wants to be stuck in the dark! Make sure to bring flashlights and batteries to your storm shelter. Even if you have your shelter wired for regular lights you can’t count on the power staying on. Lamps are good for lighting the shelter while flashlights will prepare you for leaving if you have to. Be careful when storing batteries because they can corrode with time and begin to leak acid. First Aid – This is another important essential. While you want to get out of danger as soon as possible, there’s a chance you may get injured on your way to the shelter. If that happens you don’t want to be stuck waiting for a storm to pass to get your bandages and disinfectant, so make sure your shelter is always equipped with a well-stocked first aid kit. Your Families Unique Needs – It is super important that you have your shelter stocked according to the unique needs of your family. For example, if you have a baby in the family then you definitely need to store things like formula, diapers, etc. Also, if you have any unique health concerns then you need to stock up on anything that may be needed in an emergency. If you pack just the essentials you will likely have everything you need for the average emergency. But what about events that are out of the ordinary? 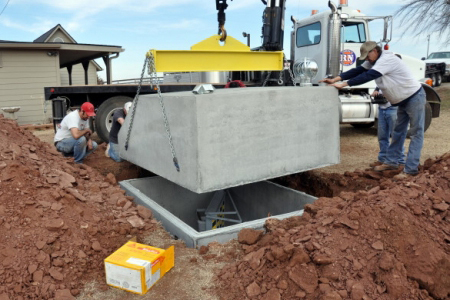 What if you have to bunker down in your shelter for longer than a day? What if supplies are scarce after you do come up? These scenarios are certainly uncommon but if you want total protection then you should consider prepping more than you think you’ll likely need. For long term planning the main concern is having enough supplies. You want to have enough food and fresh water stored for an extended period. Just how much food you decide to take to your storm shelter depends on how prepared you want to be and how much storage room you have. If your shelter only has enough room for your family, then you probably won’t have space for a weeks’ worth of food and water. Another important long term consideration is all of your important documents. 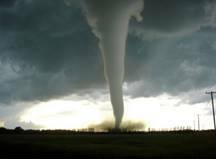 If you live in an area where tornados are a real concern then you never know when everything may gone forever. By keeping copies of documents like passports, family records, wills and more in your shelter then you can save yourself the trouble of replacing them later if a storm destroys those documents in your home. Ultimately, only you can decide how prepped you want to be in case of an emergency. Anything is better than nothing - so if budget is an issue, or if larger storms don’t concern you, then just doing the bare minimum is likely to work. It’s also important to regularly check your inventory against your storm shelter supplies checklist - don’t assume that you have everything you need. Some things will expire and you never know if a family member borrowed something and never replaced it. Taking time every few months to ensure all your prep is still in order will help you in the long run. 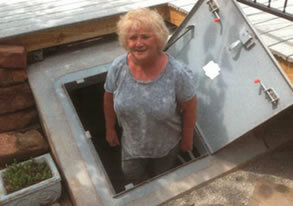 Hopefully you now have an idea of the basics of what to take to a storm shelter. Just having a fully prepped backpack can mean the difference between a night spent in safety and mortal danger. So carefully think about what you need to feel as safe as possible. 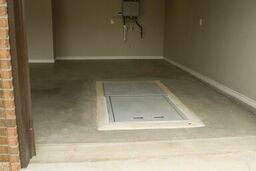 The most important item on the tornado shelter checklist is an actual tornado shelter! 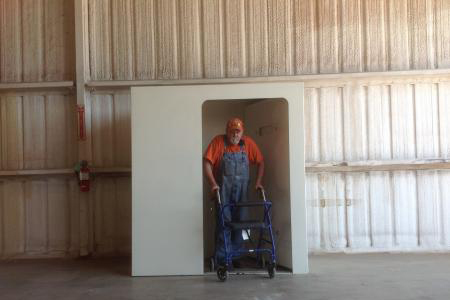 If you don't have a shelter, check out our models and order a custom shelter online.